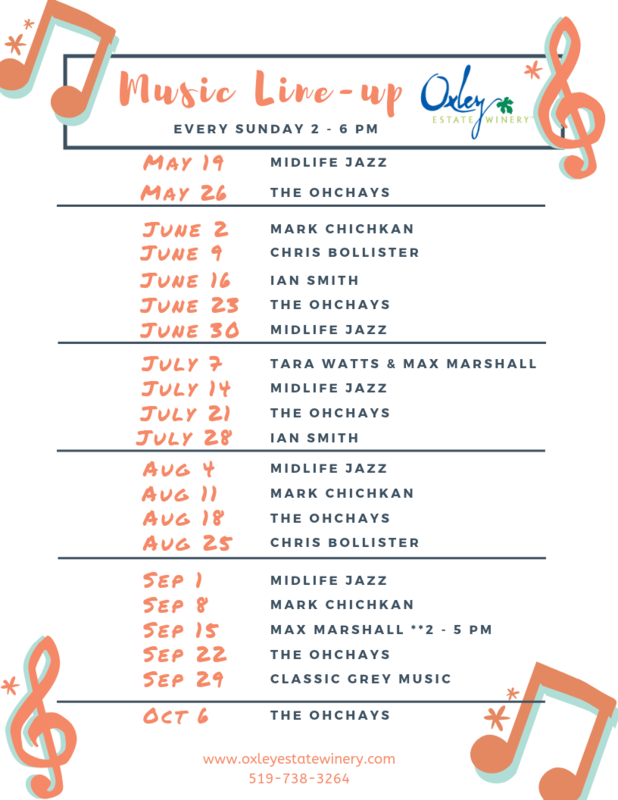 Starting May 19, join us every Sunday for live music. Lunch will be served 12 - 5. Sip, taste, relax and enjoy! View the music line-up here.